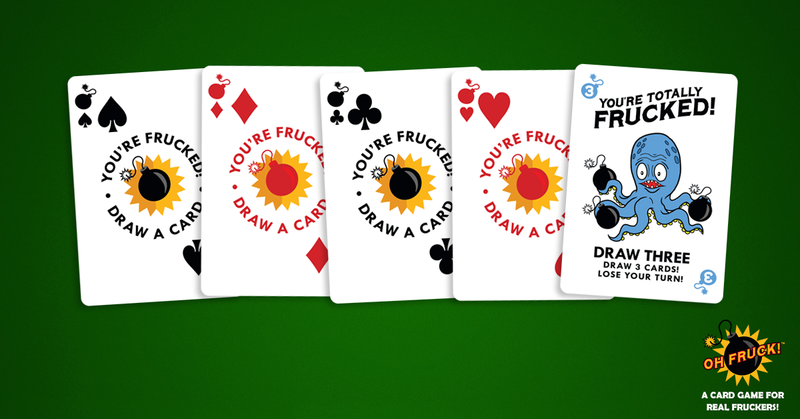 I love any card game that brings out the competitive nature in people, especially within groups of friends. 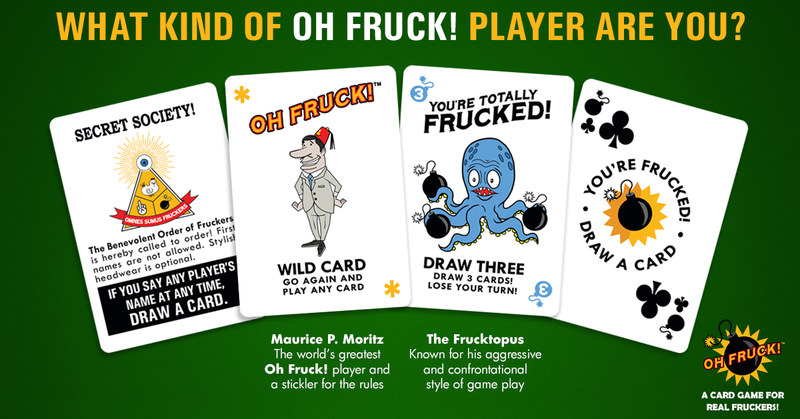 In many ways Oh Fruck is reminiscent of the card game cheat, only it’s more about the rules and less about cheating. 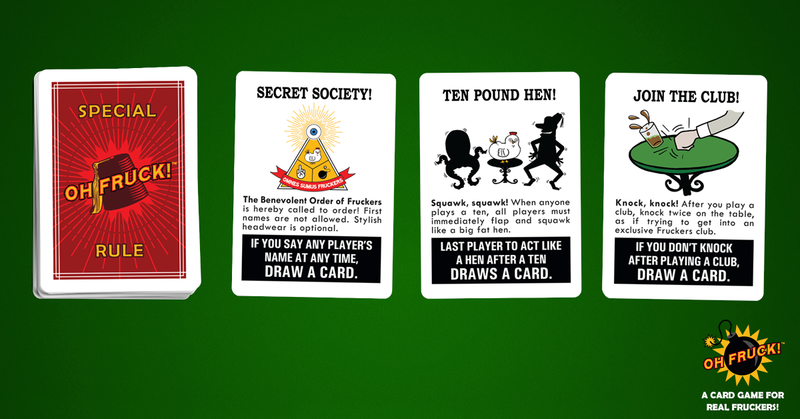 It’s a game where you start with 8 cards and have to try and get rid of them all before the other players do. It’s a very simple premise but the execution is nearly flawless. 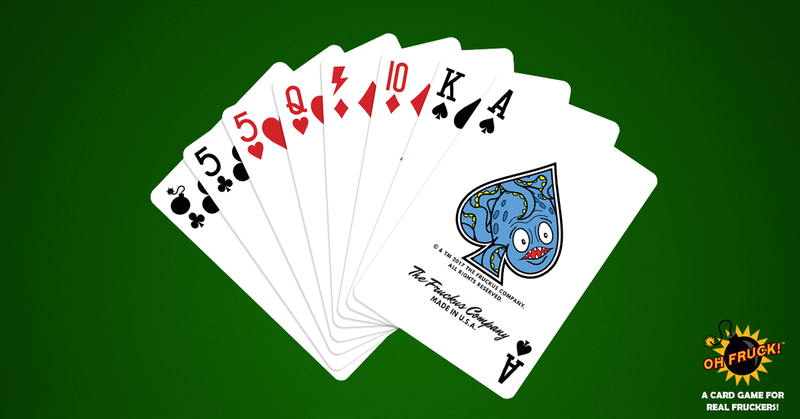 First off the game is based around a classic 52 card deck, which means that it’s already familiar to everyone. This alone is the key to why I love this game. With the familiarity of the cards it means it is one less thing for you the player to learn, which means that anyone can truly play this game and anyone can be Frucked! Secondly you have the action cards, this is where the game truly take’s on a life of it’s own. The action cards create a variety of effects such as forcing other players to pick up more cards, or give yourself key game play advantages. Finally we have the Special Rule Cards these cards vary from game to game so you will not always be playing the same game. What makes this more interesting is that new rules can be added as the games progresses, forcing players to adapt and alter strategy, all the while watching their comrades for the slightest mistake. If you are looking for something familiar yet different then this is the game for you, the games can be quick but depending on your friends matches can be drawn out. The game is adaptive and lets you mix things up, yet it is also intuitive in that anyone can play it. So if you are interested in getting a copy then check out ohfruck.com or Amazon.com. The perfect game for Christmas with the family.